The software is purposely designed for assisting users with simple solution to export Exchange mailbox to MBOX. They can export private as well as public folder items in MBOX with help of this product. The MBOX file created by this software is workable on all of its supportive email clients like Thunderbird, Apple Mail, Spicebird, MuttMail, PocoMail, etc. The software provides a rapid solution to recover emails from private and public folders of the Exchange server for exporting them in MBOX file format. It works with any size of Exchange database file, which means that there is no file size restriction imposed in the tool. 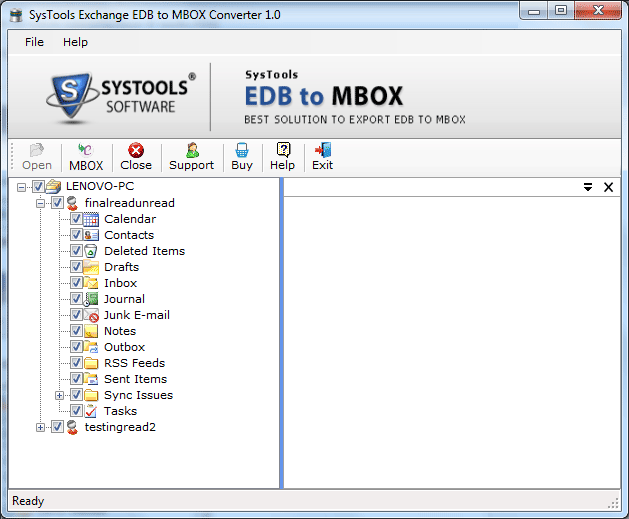 The EDB to MBOX converter has the provision to filter out the unwanted folders at the time of migration. From the preview panel, users just have to check the checkbox of desired folder, rest filtering will be performed by this tool itself. All the emails of selected folder only is going to get saved in MBOX file. The migrator benefits users with conversion of multiple mailboxes of EDB file into MBOX format all in a single attempt. This feature will be helpful in saving the precious time while exporting several mailboxes altogether having bulk of emails within them. When the tool is done with scanning process, it list downs all the extracted mailboxes that were present in the file. Users can click on any of the desired mailbox folder and then, preview emails with its respective content. The message attributes like To, Bcc, Cc, etc., will be shown in this area of the software. The tool provides following 2 options for recovering data from the MS Exchange server. These two options appear when one click on Open button in the software. The useful thing of this EDB to MBOX converter is that it supports corrupted as well as healthy .edb file within it. By default, the tool performs quick scanning on the browsed file. But, when it is about highly corrupted EDB file, at this time ‘Advance Scan’ feature comes under the great use. Demo version of Exchange Mailbox to MBOX Converter scan & preview of all items of Exchange mailboxes. Transaction is secured with SSL (Secure sockets Layer) protocol with heists commercially available encryption key length of 128 bits. Is it possible to select the public folder of MS Exchange server for email conversion into MBOX format? 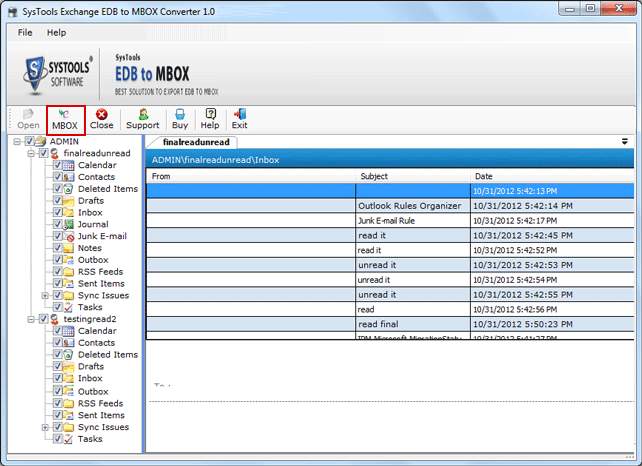 Yes, the EDB to MBOX converter renders email conversion from public as well as private folder of the Exchange server. Does your software work with an EDB file, which is having 25GB size in total? Yes, there is no file size limitation imposed in the software to export Exchange mailbox to MBOX format. The tool is totally independent from the fact that what is going to be the size of .edb file. I am having a corrupted EDB file with me whose messages are to be converted in MBOX file format. Will your software be helpful in such case for me? Yes, our software is designed with the Advance scanning algorithms. This helps the tool to exhibit the file conversion of corrupted EDB file to MBOX format. 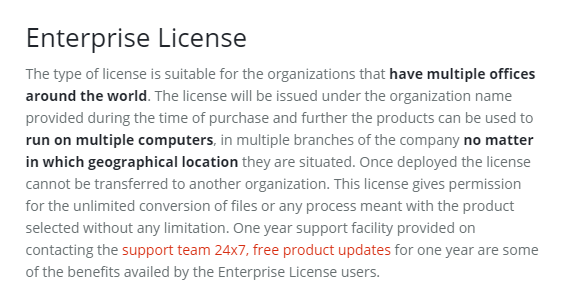 Do I require the live Microsoft Exchange server platform to attempt conversion with this product? 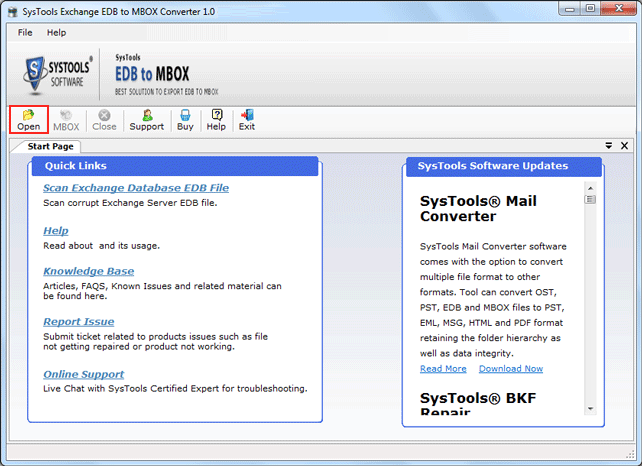 No, the EDB to MBOX converter is totally a standalone solution to convert Exchange mailboxes into MBOX format. No need of live Exchange server environment is need to work with this tool. Is there any technician who can provide a list with which the resultant MBOX file will be supported? The MBOX file created by the converter will be supported by all email programs, which supports .mbox files. Either it is Thunderbird, Apple Mail, Entourage, Eudora, PocoMail, or any other email client, the tool creates universal MBOX file that is supported by all email clients. In total, how many MBOX files will be created by the software after converting EDB files with it? While exporting Exchange mailbox to MBOX, the software creates an individual MBOX file for each folder, which is available in EDB mailbox. For messages in per folder, the resultant MBOX files will be encountered as inbox.mbox, drafts.mbox, sentitems.mbox, etc. 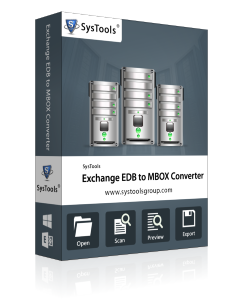 The EDB to MBOX converter is a well integrated application, which smartly tackles the conversion of EDB file to MBOX format. I got the successive output in the case of data recovery from my corrupted EDB in MBOX format. 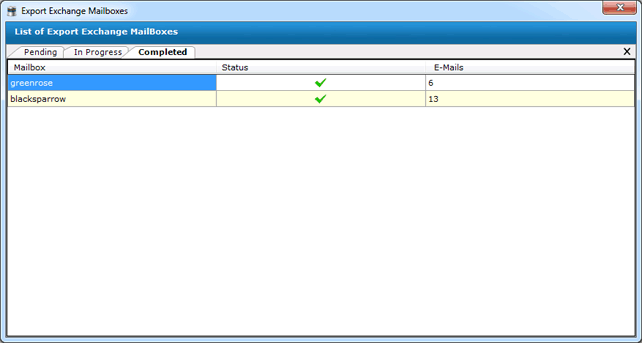 I was able to export EDB mailboxes to MBOX format while working on Windows 8 OS. Thanks to the developers for coming up with such an innovative software! I have raised my hands when my manager told me that he want to access EDB mailboxes in Mozilla Thunderbird. God knows why he required this but, at that time I had very well realized that soon my job is going to be at high risk. I casually discussed this painful moment with my sister and fortunately, she told me about this tool. OMG, A great relief! Seriously the software was of great help for me. It is the best software to export Exchange mailbox to MBOX along with the email attachments. Throughout my career, I have never seen a simplest software like this. All things were going in very simple manner with no realization of any hard efforts. Seriously, before coming across this product, I had comprised my valuable time and money in a spammed tool that was only impressive in words. Well, heartily thanks to the team for saving my time and money too. I wanted to open my Exchange EDB mailboxes in Apple Mail email client. For this, I was searching for the measure since last week but, I did not found any approach to it. Luckily after putting lots of efforts in searching, I found this website where I came to know about Exchange to MBOX converter. I downloaded the free version of it and it impressed me in a way that I opt for full version. Trust me it is an amazing product! Copyright © 2007-2019 www.exchangeexport.net. All Rights Reserved.